This paper, mainly accepting that web 2.0 has a contribution to the development of citizenship culture, examines the uses of Facebook by Turkish political parties and their leaders during the 2011 Turkish General Elections. By examining the relationship through the discursive practices of social media interface, this study reveals the possible converting effects of those practices of political parties by the usage of social media in the process of political communication. During the study, 9 Facebook accounts have been recorded for 3 months and analyzed by means of the quantitative and qualitative content analysis technique. Qualities of the accounts, such as customizations, information shared on the accounts, and the numbers of posts, have been examined for each account; topics, themes, styles, linguistic practices etc. have been examined for each post. Hence, this paper focuses on the opportunities offered by web 2.0 that have been used for election campaigning in Turkey, the mutual and interactive communication between the party and/or the candidate and the voters forming during the campaigning period, and the qualities of the online communications between the candidate and his/her competitors throughout the analysis of Facebook usage by both the party and the leaders. 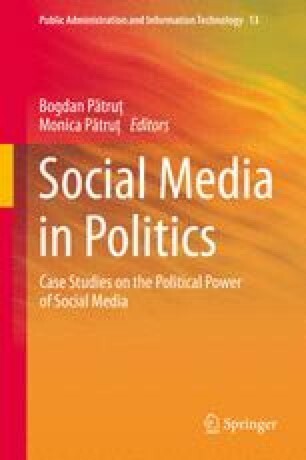 This study is a part of the project called “Examination of Social Media Environments in Terms of Political Communication Practices: The Use of Facebook and Twitter by Political Parties and their Leaders in the 2011 Turkish General Elections”, funded by The Scientific and Technological Research Council of Turkey (TÜBİTAK), November 2011–November 2012 (Project Number: 111K263). Skalski, P. (2012). Content analysis of interactive media. http://academic.csuohio.edu/kneuendorf/c63309/Interactive09.ppt [Accessed 5 April 2012].